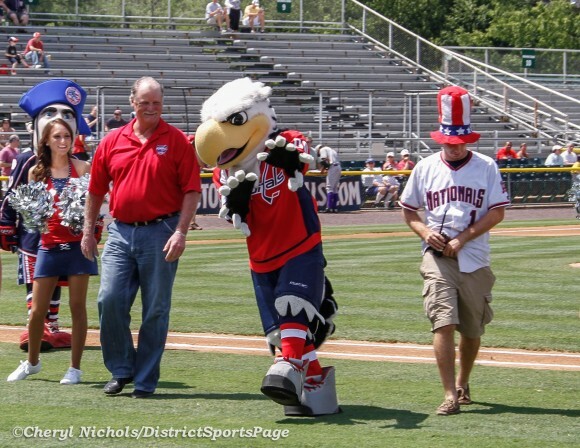 The Potomac Nationals, single-A affiliate for the Washington Nationals, celebrated hockey with Washington Capitals Day on Sunday, August 12th at Pfitzner Stadium in Woodbridge, Virginia. 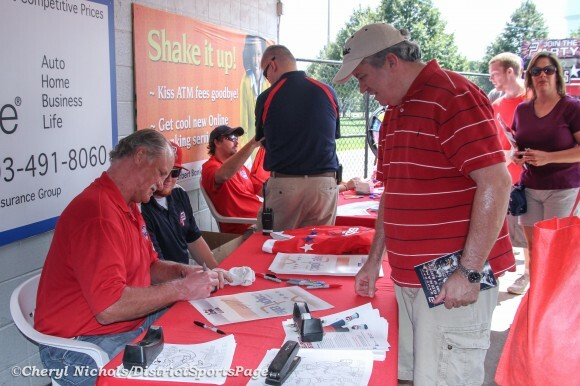 Prior to the P-Nats game against the Winston-Salem Dash at 1:05 p.m., Washington Capitals “Enforcer” and NHL Hall of Famer Rod Langway signed autographs and posed for photographs with fans. Langway, known as the “Secretary of Defense”, was a two-time winner of the Norris Trophy which is given to the NHL’s top defensemen. He also finished second to Wayne Gretzky in 1982 for the Hart Trophy which is given to the MVP of the NHL. 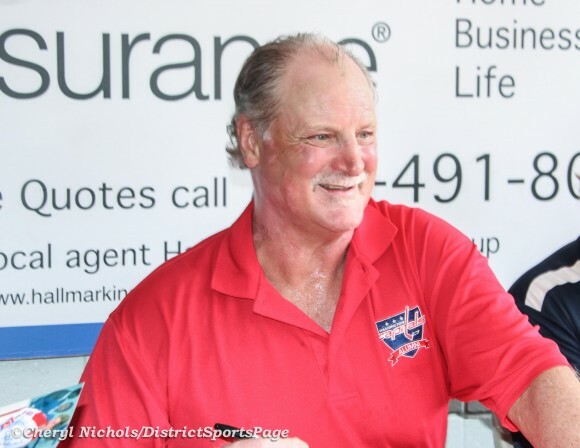 He won a Stanley Cup with Montreal in 1979. Langway was elected to the Hockey Hall of Fame in 2002. 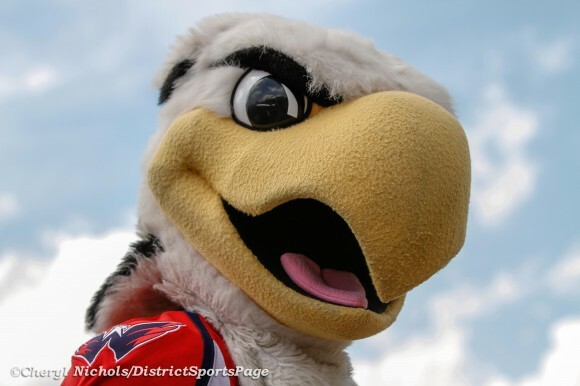 The Red Rockers, the cheer team for the Washington Capitals, greeted fans at the gates and handed out game programs. The Red Rockers also performed on the field during a pre-game presentation. 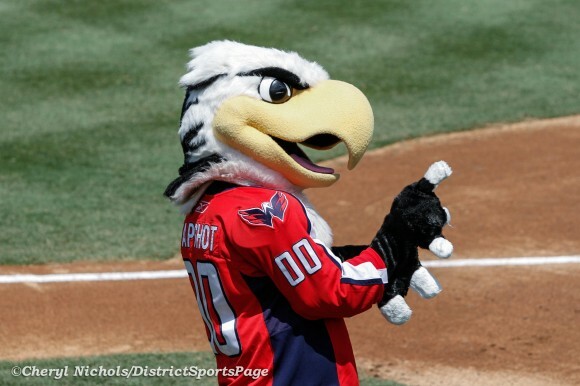 The Capitals mascot Slapshot was also in attendance. 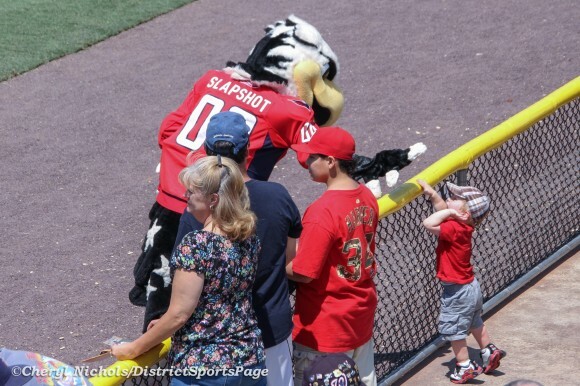 Slapshot assisted “Patty the Patriot” (the interim P-Nats mascot filling in for Uncle Slam) during promotions during the game and posed for photographs with fans. 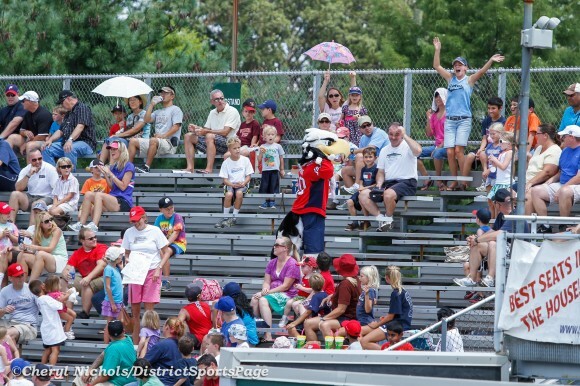 A special guest appeared on the field for Patty the Patriot’s mascot race. 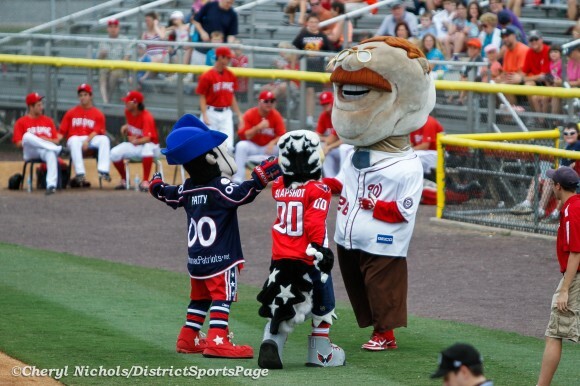 Washington Nationals Racing President Teddy Roosevelt wanted to participate! 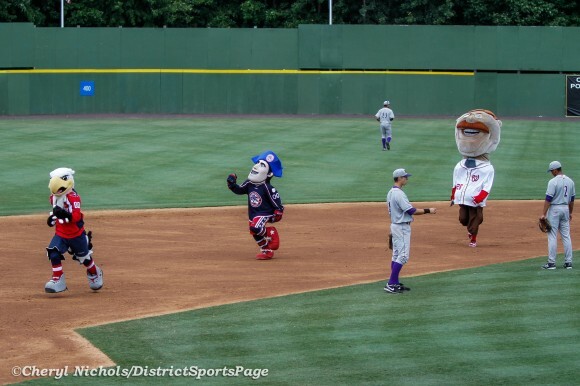 Of course, Teddy lost. Anyone surprised?